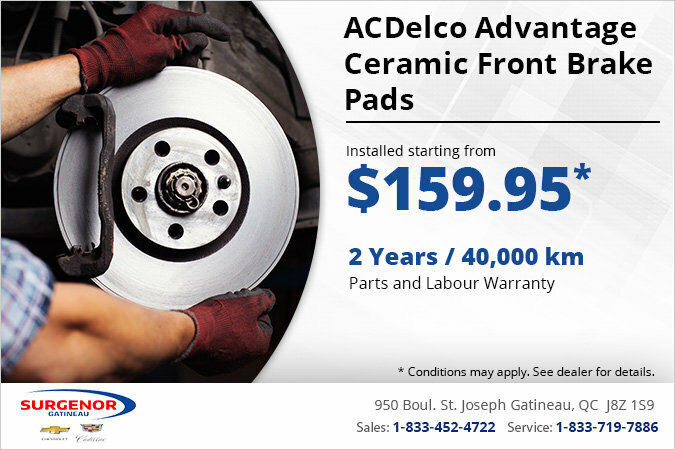 Home > Special Offers > Parts & Service > Get ACDelco Advantage Ceramic Front Brake Pads Installed! Get ACDelco Advantage Ceramic Front Brake Pads Installed! Get ACDelco Advantage ceramic front brake pads installed starting from $159.95! Comes with 2-year/40,000 km parts and labour warranty.